My daughter loves her stuffies. She feels more comfortable when she has a stuffed animal with her. 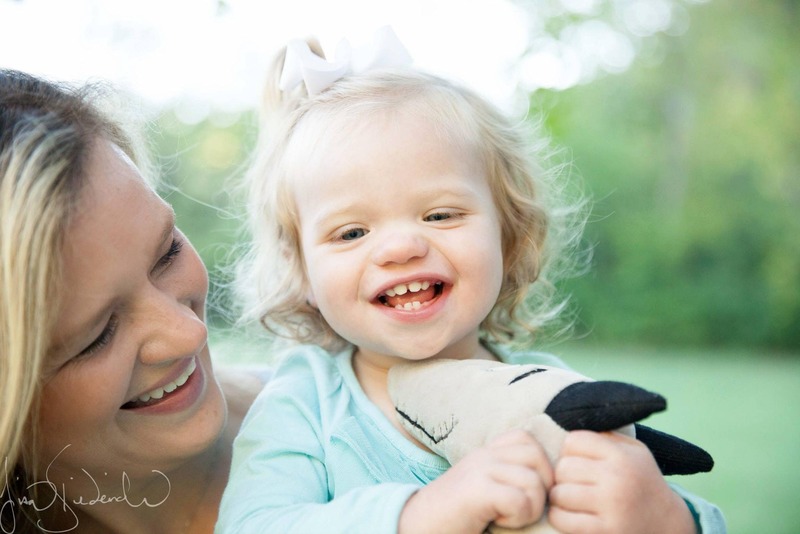 In fact, when we took our family pictures, the only way she would look at the camera was if she had her favorite stuffed animal with her! They have continued to be a big part of her life. She loves to sleep with them, play with them, and tell stories to them. So when I had the opportunity to try out Chappet, a talking button shaped speaker that you can attach to a stuffed toy, I jumped at the chance. Chappet is a Bluetooth speaker that has been embedded into a large yellow button. Parents can control the speaker by using a smartphone app. 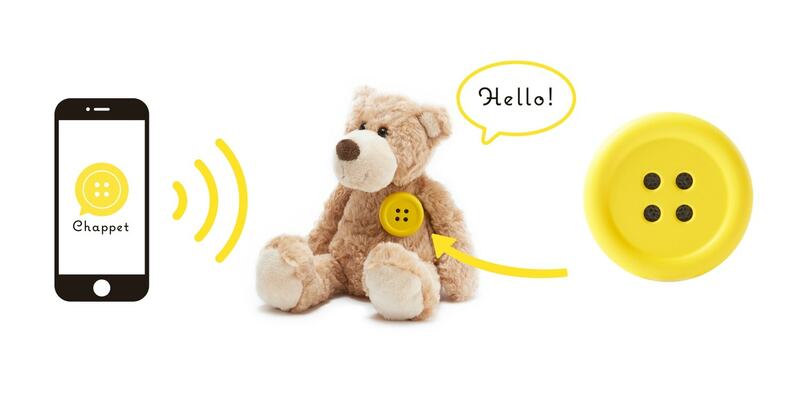 The button allows kids to interact and talk with their stuffed animals. As you can imagine, kids love this! Using more than 1,000 prerecorded phrases, parents can participate along with their kids during playtime. Chappet features 20 pre-recorded songs and stories as well to make playtime even more fun! You can even set the button to its auto chat function that allows it to mimic the words a child shares with it in conversation. 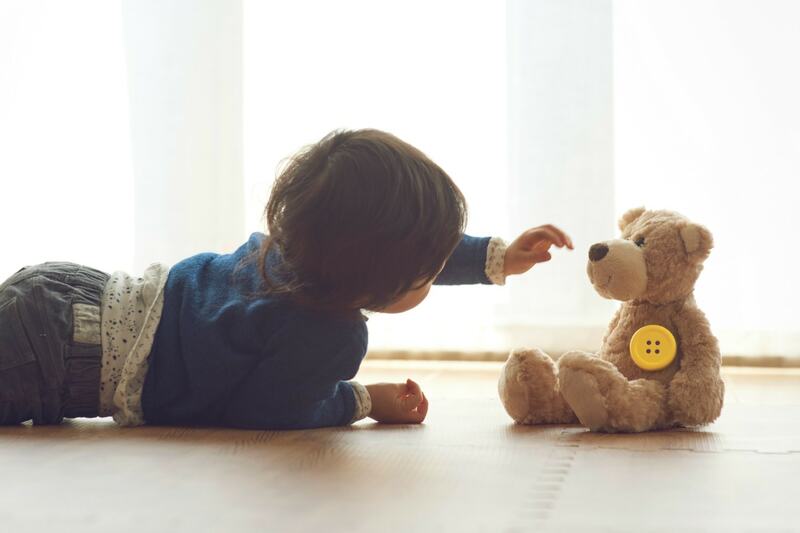 Any way you decide to use the button, your child is going to love being able to talk with their favorite stuffed animal. Chappet is not just an interactive toy for playtime, parents can also use Chappet to help children follow a daily schedule. It allows parents to set up reminders for key daily events such as meal, snack, or nap times. Chappet can also work when it comes time to potty train their child. There are tools that allow you to program their own phrases that use specific words their children respond to or use related to potty training. Chappet is safe to use around young kids thanks to the large size of the button. You can attach the button to your stuffy by sewing it on or by using a string around the stuffed animal’s neck like a necklace. You also don’t need to worry about changing the batteries, Chappet does not need a battery because it is rechargeable. It would be a fun gift idea or stocking stuffer for young kids. To learn more about Chappet’s functionality, visit Chappet.com. It is available for purchase exclusively on Amazon.com for $54.99. The parental app is available on the Apple Store and Google Play for free.